It is now scientifically proven that we cannot be spared from experiencing what people around us are going through. This is evidence of empathic resonance, which means that a human being is able to acknowledge other people’s emotions, thanks to this mutual mirroring skill. When watching a movie, you feel as if you are inside that situation. 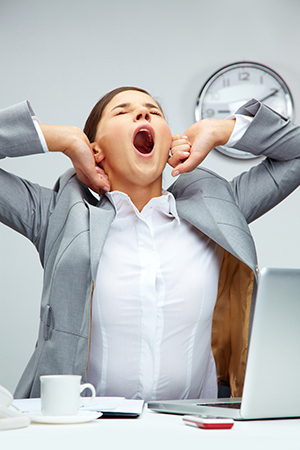 The same happens when somebody else is yawning and you instinctively yawn, too. Science has demonstrated that when we witness actions and emotions our mirror neurons spring into action. This allows us to “experience” actions or emotions we are observing as if they were our own. Our mutual instinct of imitation is inborn. Emotionally balanced people are more popular because their instinct to replicate that balance is almost second nature. Being around these people makes us feel good. Some people are irritable and short-tempered first thing in the morning — they complain about everything and spread aggressiveness, anxiety and restlessness. Negative people tend to infect whomever they meet and, in this way, they not only impact the atmosphere in the workplace, but also social relations as a whole. What is the cost to businesses that have negative people among their staff? An increasing number of executives claim that conflict among staff members represents a cost in terms of productivity. Happy people are much more effective in their work. We feel uneasy when we have to interact with negative people because they tend to make us feel the way they do. It is now scientifically proven that we cannot be spared from experiencing what people around us are going through. Just as we choose which shirt to wear in the morning, it is now time to choose the state of mind in which we wish to live our lives because it will affect the way other people feel around us. You want happy children? Be happy. You want helpful colleagues? Be helpful. Smile and the world will smile with you. Matteo Rizzato is the co-author of I Am Your Mirror: Mirror Neurons and Empathy. He is a professional coach, certified in Neuro Linguistic Programming New Code and has a degree in political science. matteorizzato.wordpress.com. Reprinted from AzNetNews, Volume 33, Number 3, June/July 2014.